As many famous hairdressers and stylists have clearly stated, there is no better accessory to finish your look than a great head of hair…I couldn’t agree more. So I went in search of some of the best products to help achieve this, with less of the fuss. One of the biggest ‘hair hacks’ I have discovered over the years is product selection. Growing up, I would just grab what ever 2-in-1 was in the shower, air dry my hair and be on my way. Sadly we can’t have our 15yr old mane of hair for ever so we do need to be a little more selective with how we treat our locks. I’m sure we’d all agree that our hair always looks better when we leave the salon. Yes they are far more skilled than most of us but there is definitely something to be said about the products they use and the results produced. Enter: AMR Hair and Beauty, the leading supplier for Australia’s best spas and salons. The great news is that they have recently launched an online consumer store, offering us access to their extensive range of products. 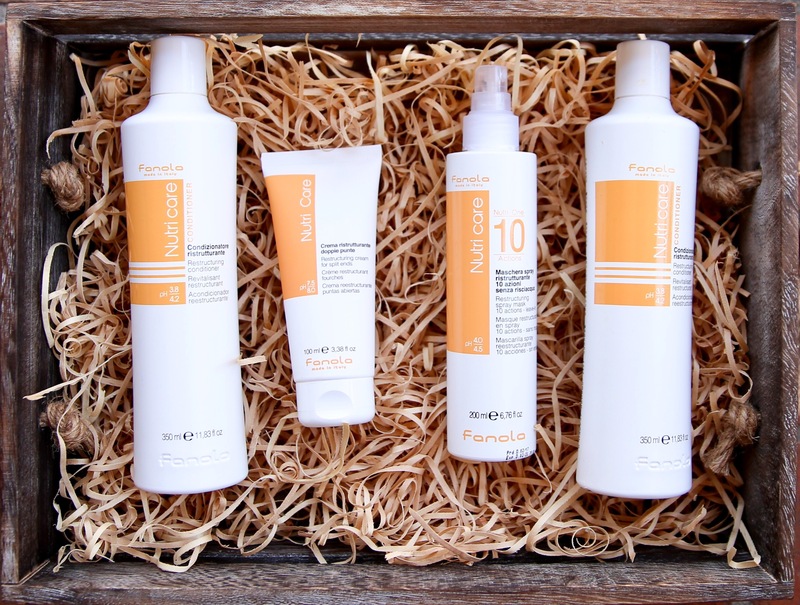 For my trial, I selected a range of products from Fanola Nutri Care range. All of the below products are ideal for dry, frizzy and treated hair. After many years of colouring, my hair easily falls into this category. The claim: Deep hydrating and nourishing action of its milk proteins & linseed oil leaves hair silky, soft, brillint and easy to comb. Verdict: I am a big sceptic with packaging claims. I almost want to poke holes in products!! Unfortunately/ fortunately, my hair felt fabulous after washing and conditioning. Soft, smooth and no residue. The shampoo & conditioner pass the test! The Claim: This product helps to seal the cuticle with a filming, anti-frizz action that helps to repair and prevent split ends. The verdict: It literally does what it says and smooths frizzy ends. The Claim: A 10 action leave-in spray that is great for all hair types. The verdict: (Insert an operatic overture) This is the hero product!! I literally don’t go anywhere with out this bottle of magic! How just a few sprays can transform your hair, I will never know! But if you have easily tangled hair that is in need of a little TLC, this is your product. 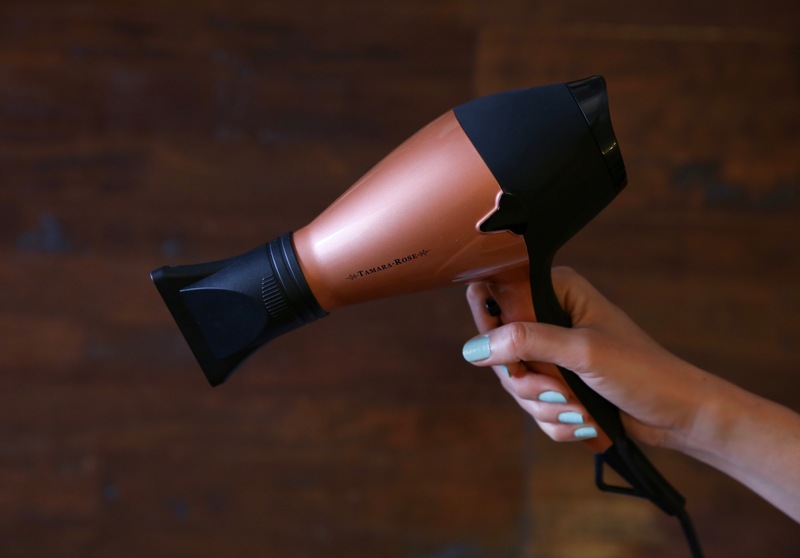 The device: Tamara Rose Foreverose Hair Dryer. I selected this dryer for many reasons, but mostly to test a dryer that sits well and truely in the affordable end of the scale. My first thought is how light the dryer feels, but expected for the price. My second thought is how pretty the dryer looks! Who doesn’t love a rose gold anything, really? The Verdict: Great value for money! The dryer produces an excellent level of heat, maybe a little high at the top end, combined with a powerful blowing ability. First time I hear about this brand. The products look very amazing! I need to incorporate these into my daily routine. Definitely, will be purchasing the shampoo and conditioner pretty soon. I love the blowdryer so beautiful and looks very powerful. Thanks for sharing this great review! Ok I so need to try out the Leave-in Restructuring Spray Mask! My hair is very fine and since I color it it gets quite dry and brittle! Yet I’m too lazy to take the time to do a hair mask or to leave conditioner on for a long time so a spray sounds so easy and convenient! Thanks for sharing! I also like to poke holes in everything and I’m super picky with my beauty products. It sounds like these totally hold up! That spray mask sounds perfect for me too – I usually only have 5 minutes total to shower so I’m all about anything that saves time and does the job! Sounds like I really need to try all of these! How are you? :) This is amazing. You are so right, you can never ever go wrong with a good head of hair. It completes any and every look. Honestly, ever since I can remember I’ve been treating my hair with lots of heat and chemicals. Can you believe that when I was about 10 months old my parents gave me a perm!? And ever since then, dying my hair and just doing so many things to it became kind of normal to me. So I have to admit, I don’t have the healthiest hair out there. I am always looking for products to maintain my hair. This seems like a great one and I’d really be interested to try it! Thanks for sharing! That leave in mask sounds like a dream and definitely feel you with always loving my hair more when I waltz out of that salon. I generally love products where I can leave in wet hair and let it naturally dry but the spray mask sounds just as easy to use as a style prep tool! The Fanola Nutri Care range sounds really good and that leave in mask sounds like exactly what I need. I have been dying my hair quite frequently during the past year and I have bleached it several times. There are times I could feel that my hair feels like straw!! I totally need something like that to save my hair and to make them look healthy again! Thanks for sharing girl! AMR Hair and Beauty sounds absolutely incredible! 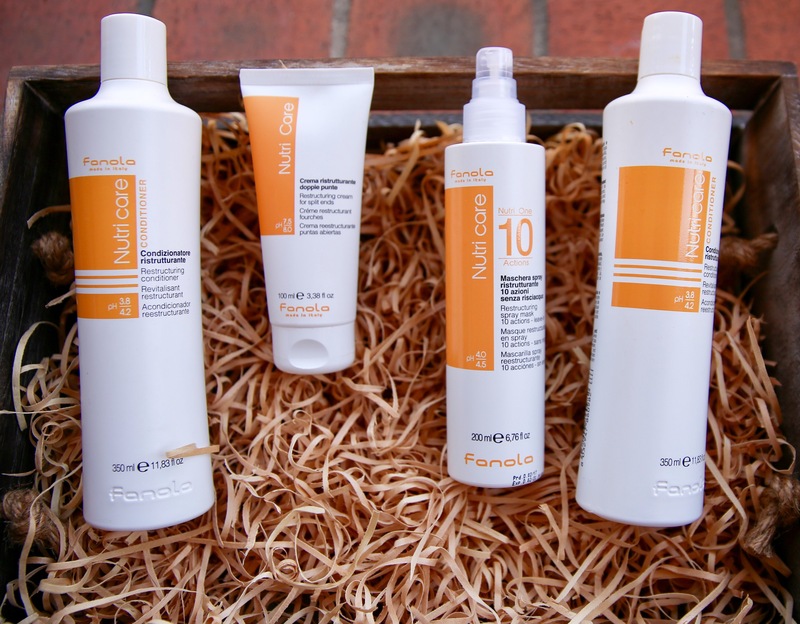 I love new hair and beauty products so I love reading review like this! I completely agree. I just went and chopped my hair off for a more effortlessly put together look for my outfits! The leave in mask sounds like something that I would really be eager to try. I’ve been looking for a product like that for some time! I definitely look for what is wrong with a product when testing it out so I love that you honestly are in love with these products! That’s so good to know! Also, the Tamara Rose Foreverose Hair Dryer is so pretty and I like finding tools like this that have great value but work good as well! Thanks for sharing! I’m so happy that you had such great results with these products! It is so important to take care of your hair, especially as you age. It seems like these are not only high quality, but also reasonably priced. I’ve never tried any AMR Hair and Beauty products, but I will definitely need to add these to my wish list! There is nothing like finding hair products that are great value for your money! Having natural hair, it is not cheap to find a line of quality hair products, especially those for dry and frizzy hair. Since you have the same hair type, I may need to try this line for mine! That hair dryer is pretty cute! Should be a great products. I never try them before but how you shared your thoughts I think worth it to try them. I haven’t heard of this brand before, but I really like the packaging. Thanks for the review. My hair’s always a tangled mess and I think I’m gonna go research a little more on the Leave-in Restructuring Spray Mask and try it out!! Bleaching has caused problems with my hair I hope can be fixed with products!! thank you so much for sharing about these great products as I’m always learning and trying new products, would love to try the leave-in spray mask, it seems so worth it! Split ends is one of my biggest problems. I have to cut it every month and I want my hair to be long and healthy. I really would love to try Fanola Nutri care line and see if it could help me. Thank you for the review, hun!